The new Ford F-150 for sale at Haggerty Ford offers best-in-class towing of up to 13,200 lbs. and a best-in-class 3,270 lbs. maximum payload rating. Its capability is truly in a class of its own. Combined with top-tier technology, exceptional engine specs, and a forward-thinking cabin to create a half-ton truck without equal, the F-150, along with the Ford F-150 XL, is ready to go to work in West Chicago. If you’re looking for a truck that’ll handle the toughest of jobs with ease, come down to Haggerty Ford today to test one for yourself. Be sure to browse our new vehicle incentives before you visit for an extra added value. Featuring up to 290 hp and 265 lb-ft of torque as standard or an elevated trim of 450 hp and 510 lb-ft of torque with the available 3.5L V6 EcoBoost, the F-150 truck takes on whatever your commute will bring near Carol Stream. The cabin offers stellar rear legroom, available reclining rear seats, and a rear seat fold-down center console for top-tier comfort. Other select features cover everything from a large 12” touchscreen to slew of safety highlights that assist with whatever you’re hauling around Aurora. Chicagoland Ford dealers like ours understand that no matter the need, the F-150 truck is ready to meet each task with true gusto. 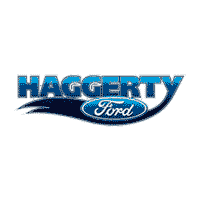 Come down to Haggerty Ford today to check one out for yourself. When you’ve reviewed our inventory and are set on this fine truck offering, apply for financing to get one step closer to a new Ford F-150. If you have any questions, feel free to contact us. Torn between the utility of a truck and the convenience of an SUV? Check out the Ford Explorer interior to find out if you might be better suited to an SUV than a pickup.